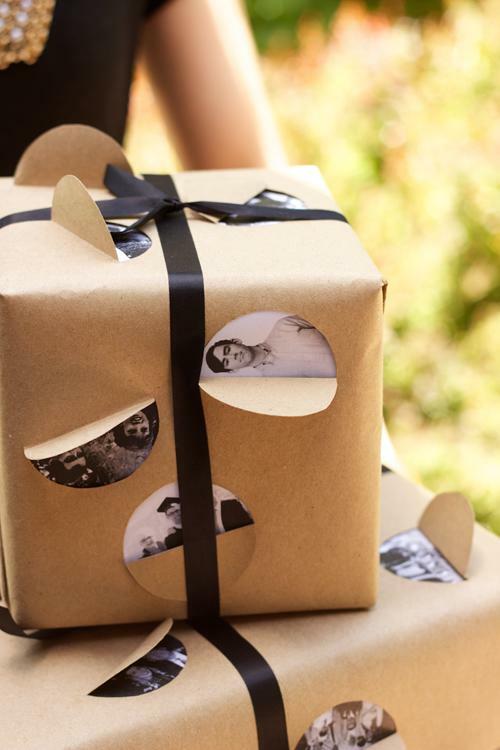 The contrast of black and white gift wrapping against natural craft paper is a really striking look. 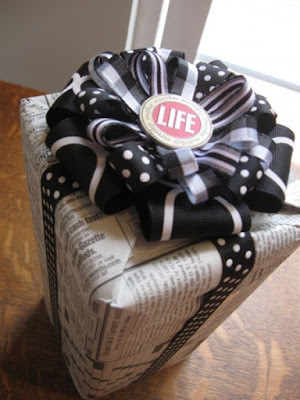 Whilst newspaper is a cheap and effective form of wrapping paper, you can make it look less 'tight-arse' with the addition of a beautiful trim such as this black and white ribbon. 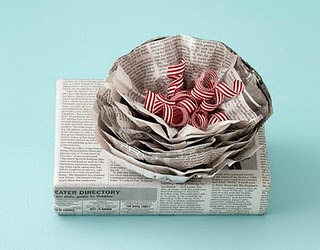 Image from May Arts. 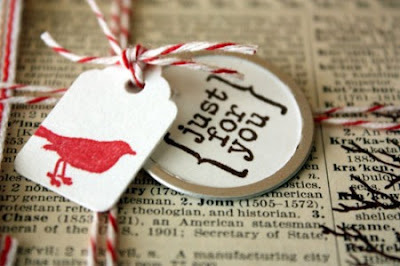 Red is also a gorgeous contrast colour against black and white. 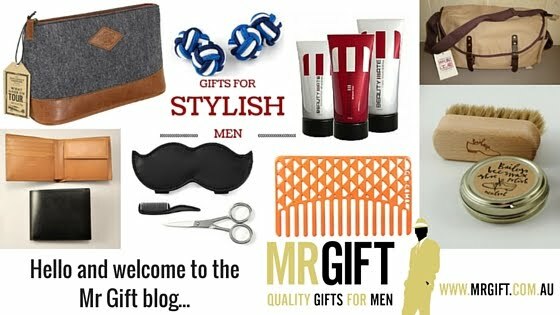 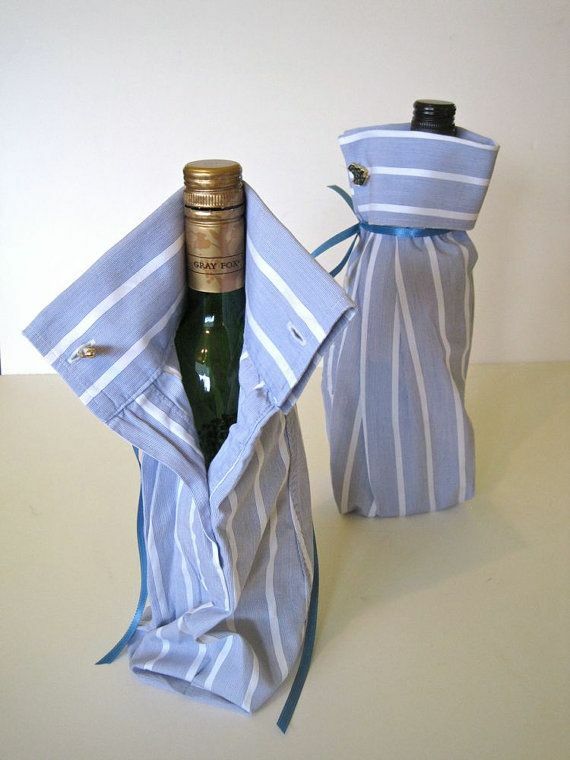 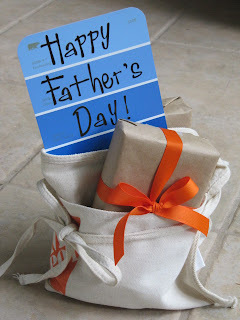 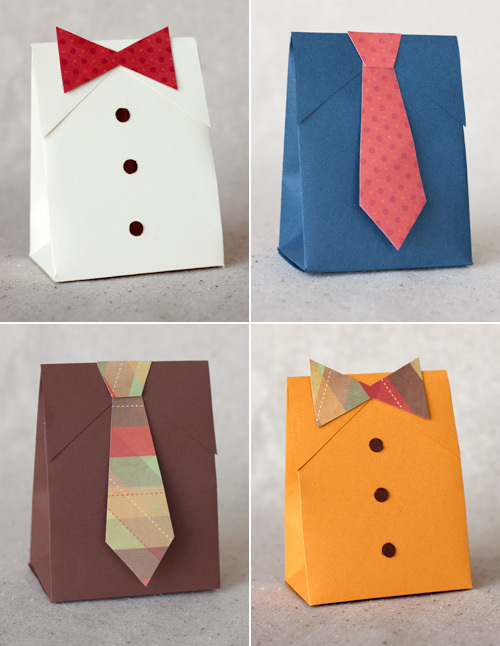 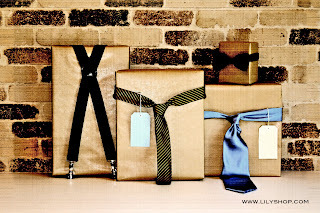 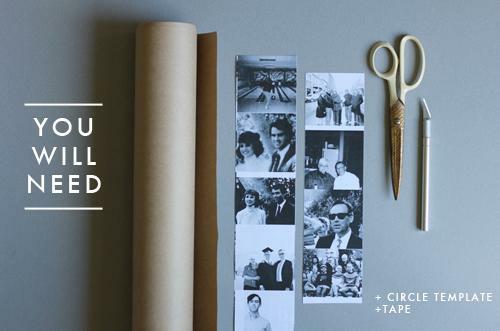 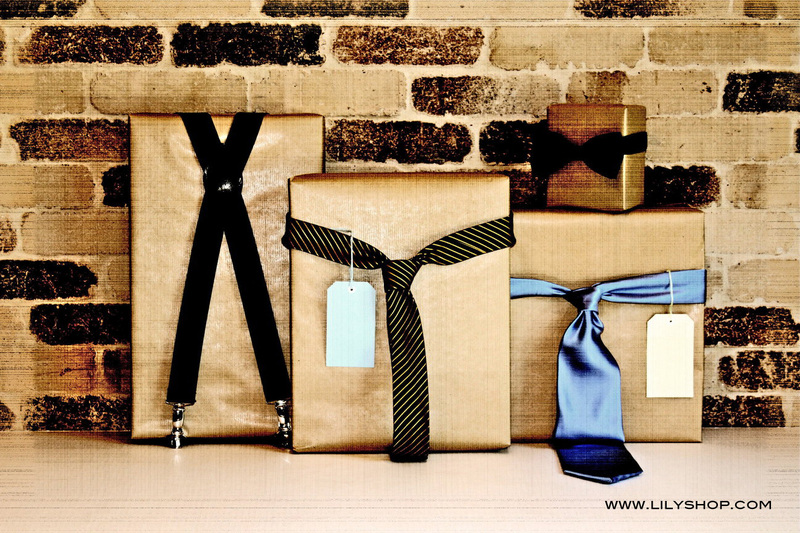 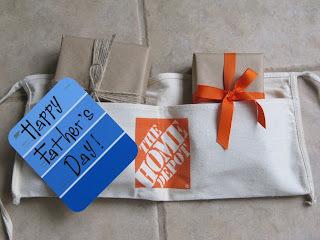 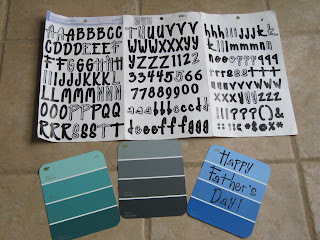 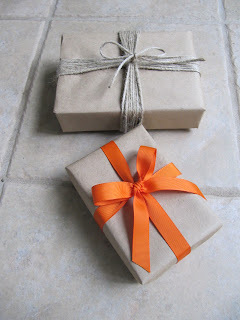 If you purchase a beautiful tie for dad, why not make it the hero of your gift wrapping too?